A note to our valued Padron customers:In order to continue to offer you the lowest prices anywhere on Padron cigars, we can no long offer Padron cigars in their original full boxes. They will now be shipped to you in bundles (or 5 or 6-packs) rather than the traditional box you're accustomed to. Please rest assured that they are still the same, first-run, high-quality authentic Padron cigars you've come to know and love. We apologize for any inconvenience this causes, and please feel free to call our friendly and knowledgeable customer service team with any additional questions. We hope you enjoy these fine cigars at a value unavailable anywhere else. Padron is one of the most celebrated cigar manufacturers in the world, having earned more 90-and-above ratings in Cigar Aficionado than any other non-Cuban brand. These cigars are made entirely with Nicaraguan sun-grown Habano leaves, which are all aged for a minimum of 2 years. The result of this lengthy aging process is a characteristically Nicaraguan smoke with notes of earth, cocoa, coffee, pepper, and a bit of sweetness on the finish that nicely rounds out the experience. Padron cigars burn straight, draw generously, and stay incredibly smooth and flavorful from the moment you toast the foot to the moment you set down the nub. The below item has a MSRP of $11.00 and normally sells for $9.00 Get it now for $6.00 when you add Padron 3000 Natural to your cart. Great tasting cigar at great price. This is a great end of day cigar. It has a unique taste and is satisfying to the last draw. Always fresh - Always consistent - Try it your like it! 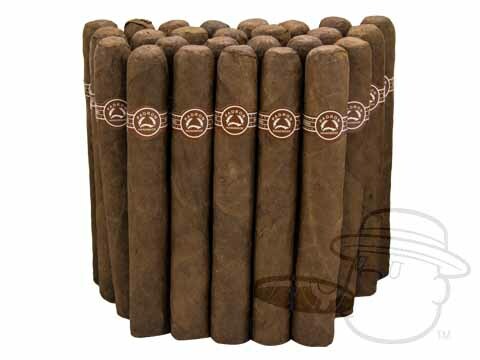 These are wonderful and very Cubanesqe as in Montecristo. Good quantity on this bundle. These cigars burn consistent and draw very nicely. Always good and always fresh. A bargain at twice the price. Good draw and taste. I love this cigar! I think I shall always have this cigar in my humidor. It isn't fancy or high priced, but it is darn good, always, every time. Love these cigars! Always keep them stocked in my humidor. They are my daily go to cigar. Cant beat the price for this type of quality! Consistently high quality, flavorful and smooth. Great even burning cigar. This has become my go-to favorite. Appreciate the economical value of bulk packaging. Good deals and in stock. These cigars are great from the first puff to the last. The Padron 3000 is amongst my favorite in the Padron family of cigars, they never disappoint! The Padron 3000 is my favorite cigar. Long-filler tobacco, earthy feel to the wrapper, great flavor, lots of smoke, and consistently easy draw. Padrone is, to me, one of the most consistent smoke in my box. Find the one you like and you'll have a great goto smoke. I first tried a Padron purchased from a cigar shop in Pasadena, Ca while on vacation several years ago and it immediately became one of my favorites. had a smooth burn (no canoeing), it never went out, and it had a nice easy draw - which I require in a cigar. It smoked with a very even flavor from the foot to the head - and never got hot - right down to the nub. No harsh or overblown strong flavors - just a great medium flavored cigar! A fine way to spend an hour. Good cigar at a very reasonable price. My orders are always received quickly; the cigars fresh...living in upstate NY, I then make certain the hot tub is properly heated and enjoy a cigar and an occasional cocktail. It gets me through the long winter months. Have enjoyed Padron cigars for many years and have found they are consistent in every way. my favorite brand. always well constructed and burns perfect every time! I consider Padron cigars to be the most consistent of the higher end cigars. I usually smoke the Maduro Padron 3000 but decided to try the Natural. Not sure why but the Natural bundle was everything but consistent. Out of 26, 3 cracked and 3 burned our while smoking. I will stick to the Maduros from now on !! A very good cigar at a good price. Well made and good burn. My go to Cigar in Humidor- don’t need the box, every kid in the neighborhood ha at least 10 already. You can not go wrong with a Padron Cigar, they burn smooth and hold their body all the way through the cigar. The Padron 3000 is my daily smoke. I love these cigars! Always consistent and breath well. I hate putting them out and usually burn them down to where I can't hold them anymore! I recommend them to all my friends! Best price for Padron 2000s. My favorite cigar. These cigars are a great smoke. I enjoy them during the my morning golf rounds. I love these. If they were a little lower cost I would certainly buy more. Received the bundle on a Saturday morning and enjoyed one Saturday Afternoon. The cigars were fresh and ready to smoke. The burn was even throughout the smoke. These cigars are tasty and well made. I think I understand why they are NEVER on sale! I am always impressed by the quality and smoke of this reasonable cigar. I smoke these every day and enjoy every moment. It is truly a rarity to find a cigar at this price point that burns evenly and does not repeatedly extinguishes. The flavor is bold, nutty and somewhat chocolate like without being harsh, heavy or headache inducing. I have been smoking these for 15 years and continue to be impressed by the quality especially at this price point. Great cigars, good service, great prices. One of my all time favorite for a daily stick. Little disappointed that they were on backorder though. Available at my local shop all the time. Awesome cigar, especially when you can get them on a sale and/or discount! Padron 3000 Natural is rated 4.5 out of 5 based on 52 customer ratings.